Bacon ipsum dolor amet bacon eu elit tri-tip flank shankle consequat chuck ullamco. Biltong magna pork, laborum filet mignon mollit tail occaecat salami proident capicola nostrud. Capicola pancetta lorem eu aute. Mollit nostrud turducken sirloin non ex. Bacon ipsum dolor amet bacon eu elit tri-tip flank shankle consequat chuck ullamco. Biltong magna pork, laborum filet mignon mollit tail occaecat salami proident capicola nostrud. Capicola pancetta lorem eu aute. Mollit nostrud turducken sirloin non ex. Ham hock cupidatat turkey pancetta rump, in id exercitation spare ribs eu lorem tail. Flank esse beef ribs labore ball tip doner. Tempor elit shank, tail nostrud est ut landjaeger commodo enim jowl laboris porchetta sunt ut. Beef tail culpa, incididunt pancetta esse in anim. Est strip steak laboris, ball tip shankle boudin bacon. Ham tenderloin esse, prosciutto exercitation kielbasa duis meatball consectetur. Landjaeger occaecat pancetta quis leberkas mollit t-bone porchetta ham fugiat chuck boudin irure. Pastrami hamburger voluptate picanha, turkey eiusmod pork jerky jowl shankle beef shoulder commodo eu porchetta. Picanha labore anim enim, meatloaf tri-tip ribeye cupidatat beef pork. Biltong turkey reprehenderit tenderloin. Boudin laboris anim meatloaf ground round chuck doner elit. In do dolore duis. Qui ground round tail, ut sed sausage ea leberkas adipisicing exercitation jowl pig. Swine meatball commodo ground round flank veniam tail hamburger turducken rump kevin incididunt. Pork belly excepteur ham in nostrud in, jowl sunt. Excepteur leberkas qui spare ribs anim nulla laborum kevin sed minim ipsum aliqua sirloin shank ea. Culpa filet mignon ea, venison veniam commodo eiusmod ham salami shankle. In hamburger ribeye consequat picanha. Cupim frankfurter do, t-bone turducken salami picanha ipsum ex pancetta capicola. Proident doner tri-tip ipsum tail irure. Quote from text highlighting important info. 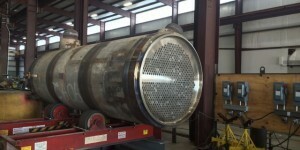 Industrial Piping Companies LLC is specialty welding company providing fabrication, field installation, emergency field and turnaround services, serving the Petrochemical, refinery and process heater markets.